One of the most important checking tools in a Quality Management System (QMS), is the internal audit. 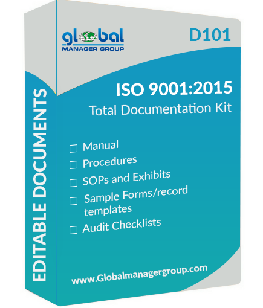 The requirements of ISO 9001:2015 are very clear that this is a critical element of your QMS; and, as you want to know how your processes work, your internal audits become a key resource. ISO 9001:2015 Audit Checklist are a widely used and important tool to insure that when performing an internal audit. What is the ISO 9001: 2015 standard required by the internal audit? So, when creating ISO 9001:2015 audit checklists, you want to include the information needed to verify these two process results correctly. 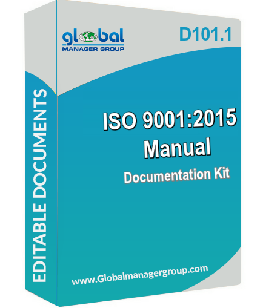 How to create an ISO 9001:2015 Audit Checklists to check conformance? An internal audit is there to witness the outcome of a process through a review of records or witnessing the actions of the employees, and to then compare this to the planned arrangements for the process to see if what is being done is what was planned. As can be seen above, there are two sets of planned arrangements to check: those required by ISO 9001:2015 and those that the company has put in place for their process to work. An audit checklist is basically a set of questions that the auditor wants to ask, or activities that the auditor wants to witness, in order to verify the planned arrangements as above. The checklist is created by reviewing the ISO 9001:2015 standard and any documented procedures or undocumented processes for the activity to determine what should happen. The ISO 9001:2015 audit checklist could include questions on supplier evaluation and a review of the supplier audit reports that have been collected to see if they are done when determined by the QMS. The checklist can include more than just questions; it can also include statements from the procedures that the auditor wants to check. The checklist is a tool for the auditor, and it is not something that the controlled entity should complete, so any format or questions and statements will be useful for the auditor to ensure that all the important parts of the process are checked will work.